Inserted among Apple's usual risk disclosures for the third fiscal quarter of 2018 was mention of "international trade disputes" that could result in tariffs and "other protectionist measures" which could have material impact on company finances. While current U.S.-China trade tensions were not called out by name, Apple is most likely referring to actions by, and subsequent Chinese government reactions to, recent Trump administration decisions. Tariffs on goods and materials were specifically noted as potential disruptors of company business, that is the manufacture and sale of consumer electronic devices. Tariffs could increase the cost of the Company's products and the components and raw materials that go into making them. These increased costs could adversely impact the gross margin that the Company earns on sales of its products. Tariffs could also make the Company's products more expensive for customers, which could make the Company's products less competitive and reduce consumer demand. Countries may also adopt other protectionist measures that could limit the Company's ability to offer its products and services. Political uncertainty surrounding international trade disputes and protectionist measures could also have a negative effect on consumer confidence and spending, which could adversely affect the Company's business. In March, it was speculated that U.S. tariffs on aluminum and steel, both raw materials in wide use across Apple's major product lines, would adversely affect the company's supply chain, which in turn could drive up device sales. Worries were allayed, somewhat, in June when a report claimed Trump offered Apple CEO Tim Cook personal assurances that iPhone would not be affected by the China clampdown. A more recent round of proposed tariffs proffered in July names products and other goods that are assembled in China as targets of import fees. Those tariff codes, if implemented, are expected to affect $200 billion worth of imports. The original Apple Watch was named alongside other fitness trackers and Sonos speakers in the July proposal, though the earmarked 10 percent tariff is unlikely to be an issue as the first-gen wearable is no longer produced. 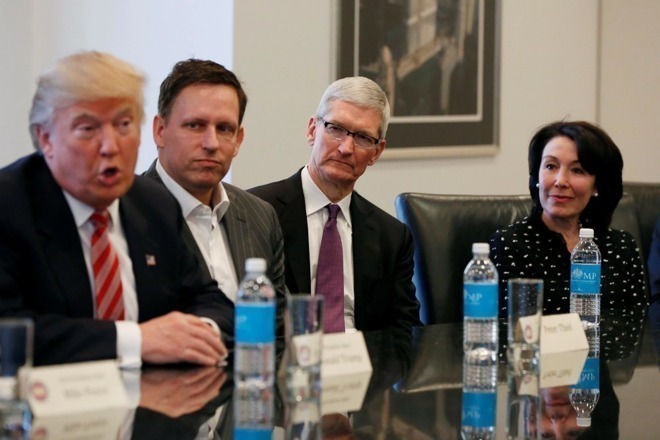 Asked to comment on the issue during an investor conference call on Tuesday, Apple CEO Tim Cook said that while trade agreements between the U.S. and other countries are complex and could benefit from modifications, tariffs might not be the best solution. Of the three tariffs currently in force, none impact Apple, Cook said. A fourth — the July proposal — is in the process of public comment, and Apple intends to analyze its options and voice an opinion to the administration. "Our view on tariffs is that they show up as a tax on the consumer and wind up resulting in lower economic growth, and sometimes can bring about significant risk of unintended consequences," Cook said.